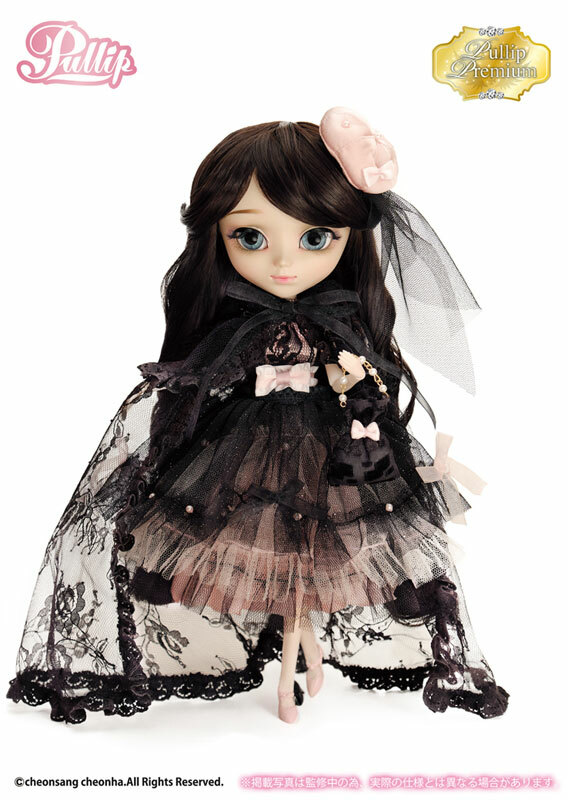 Premium Pullip Nanette Erica Version was the fourth doll released as a part of the Premium Pullip series. 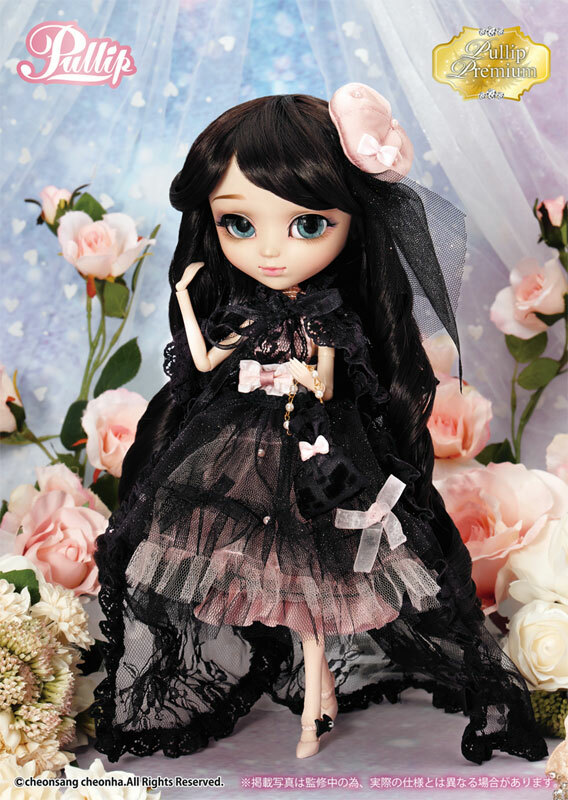 Groove started a new series of dolls called Pullip Premium where past popular models are remade in new versions with different outfit, colors and pattern. 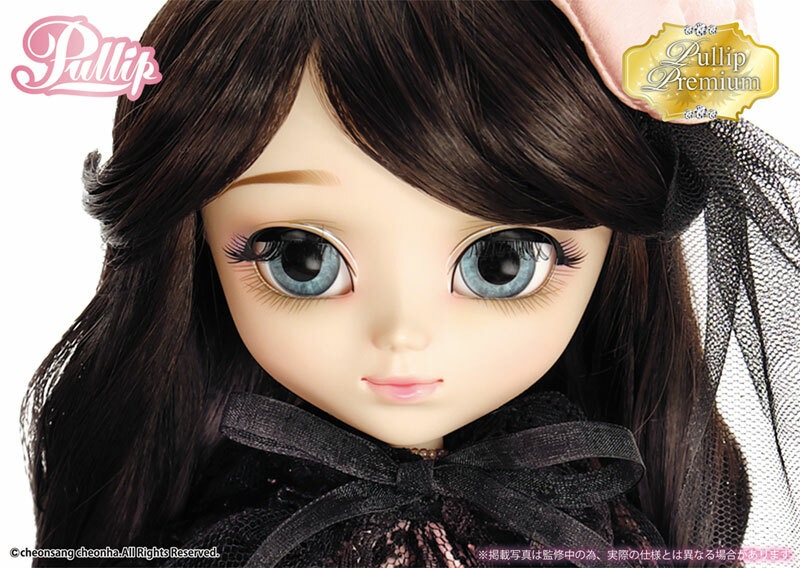 The original Pullip Nanette was released in 2012 and was a very popular release. 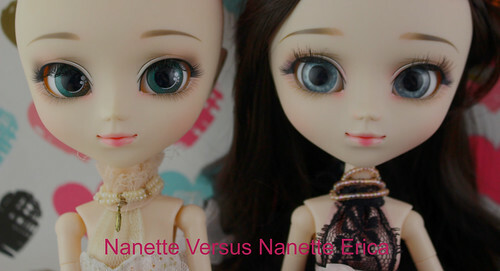 Face Up Comparison: Comparison of Pullip Nanette and Pullip Nanette Erica Version. 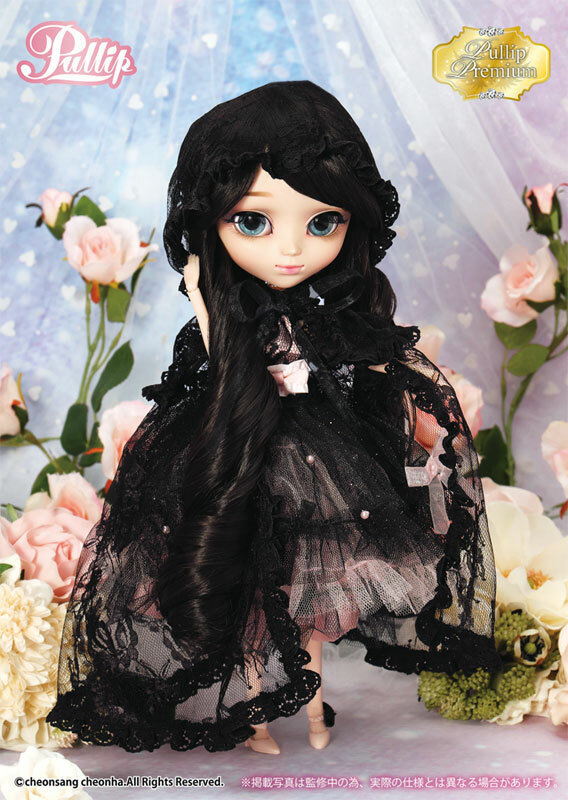 Wig: Long dark brown curled wig. 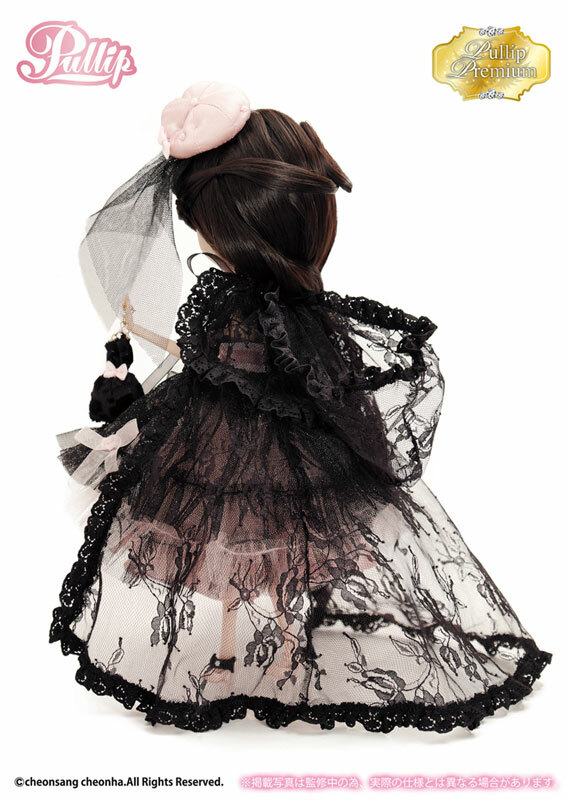 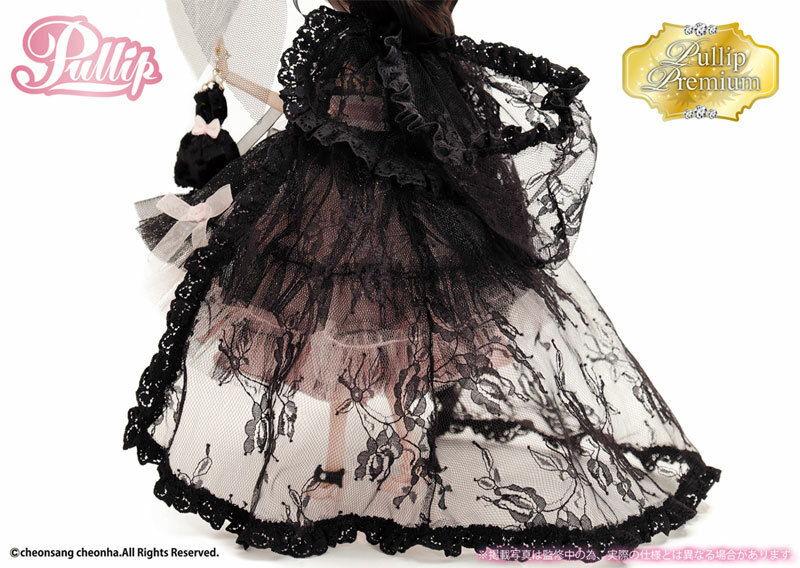 Stock:Pullip Premium Nanette Erica Version’s stock outfit consists of a dress, tight, hat with attached veil, belt, heels, purse, underskirt, cloak and apron. 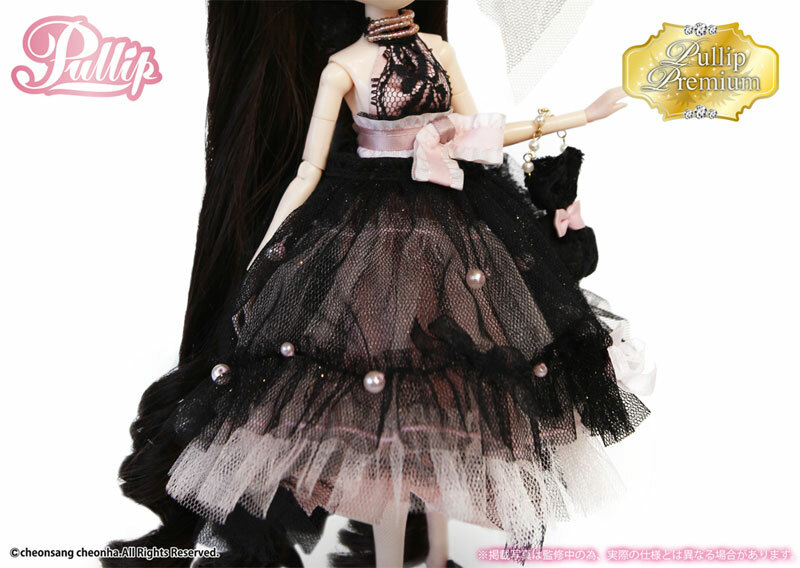 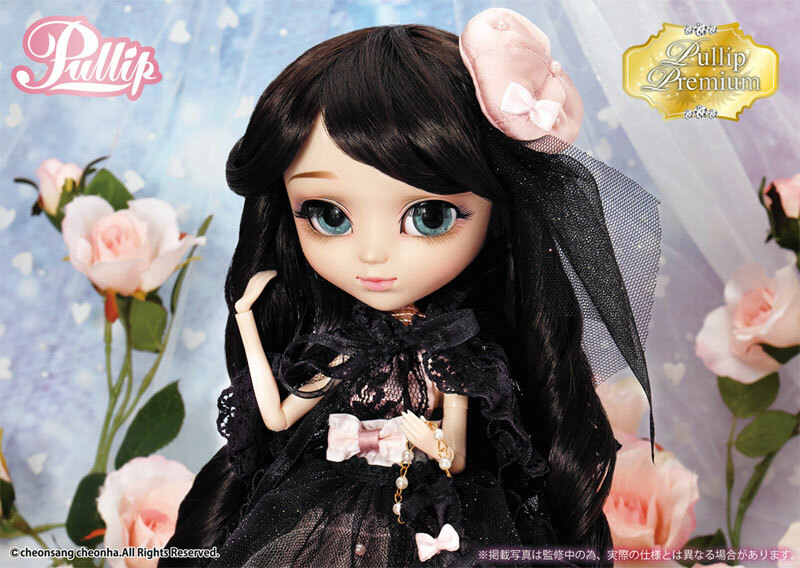 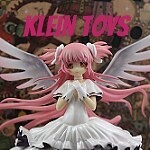 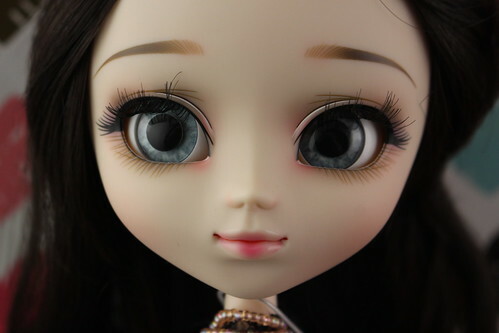 Special Notes: Part of the Pullip Premium series. 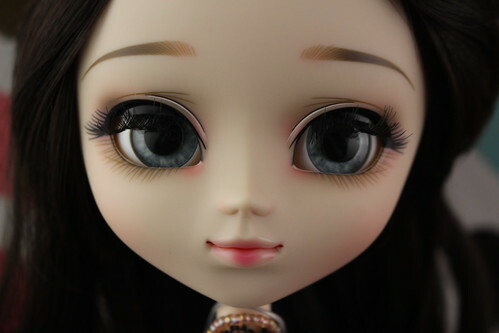 Known Issues: Possible long-term staining issues.